Dr. Amelie Lanaux was born and raised in New Orleans and graduated from St. Mary’s Dominican High School. She attended Louisiana State University for seven years, earning her Bachelor’s degree in Animal Science and her Doctor of Veterinary Medicine. 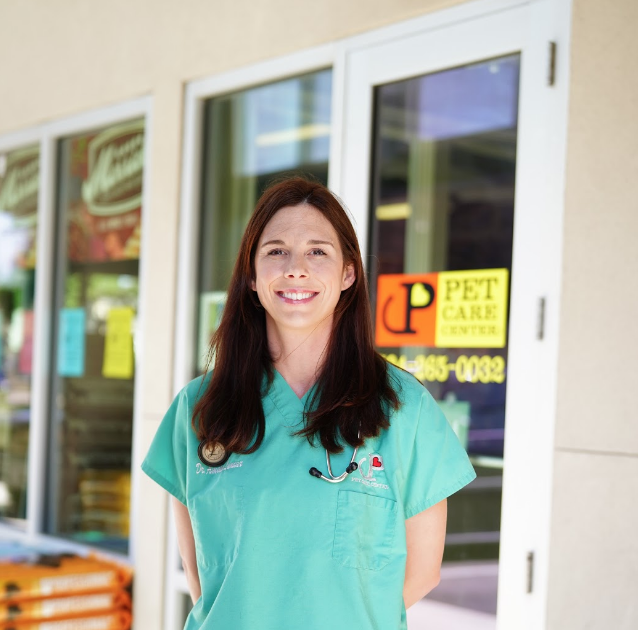 Dr. Amelie is very happy to be back home practicing veterinary medicine and being a part of the Pet Care Center team. She especially enjoys critical care medicine, internal medicine and clinical pathology. She is a member of the American Veterinary Medical Association and the Louisiana Veterinary Medical Association.